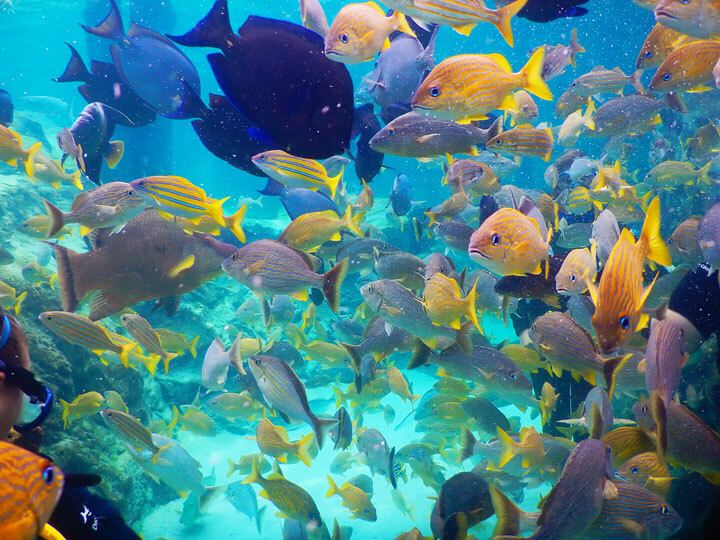 Many people dream of swimming with dolphins, a once in a lifetime opportunity perhaps. We were fortunate enough to swim with them back in 2005 whilst on Honeymoon and have dreamed of taking our girls there to share the experience. 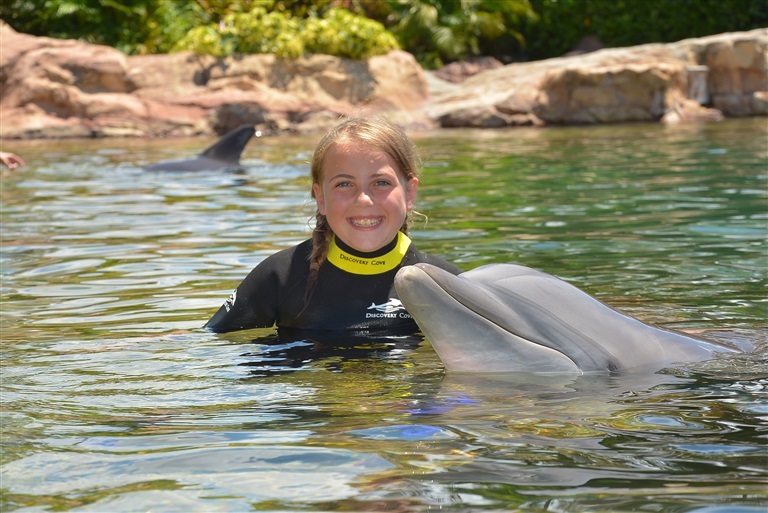 We always want to offer our girls opportunities and open them up to experiences so on our last trip to Orlando, Florida it was their chance to visit Discovery Cove and swim with a dolphin. 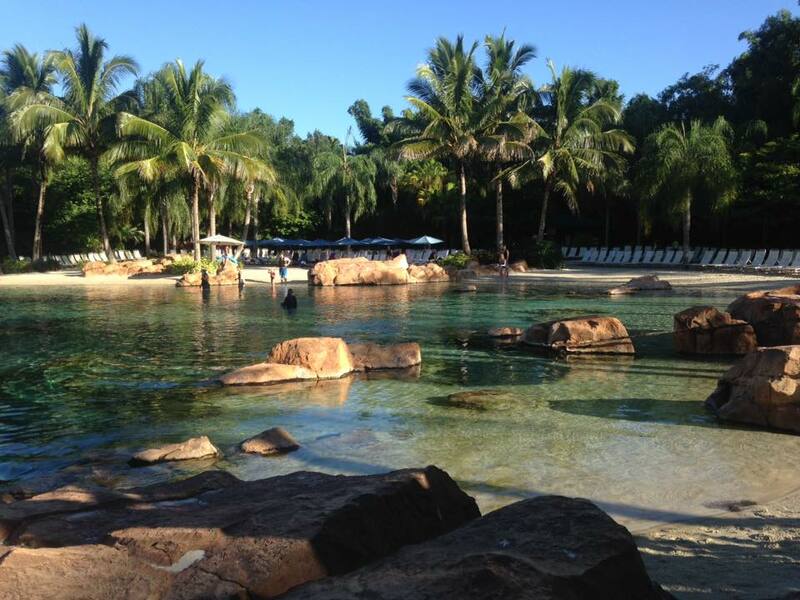 Now despite what some people have seen on documentaries, conservation at Discovery Cove is a huge priority. They work in partnership with dozens of Conservation Groups, either through funding these efforts or physically assisting in rescue and rehab. Their rescue team are on call 24/7 and to date they have rescued more than 29000 animals in need. In addition to this, they fund conservation educational programmes and have a successful breeding programme. 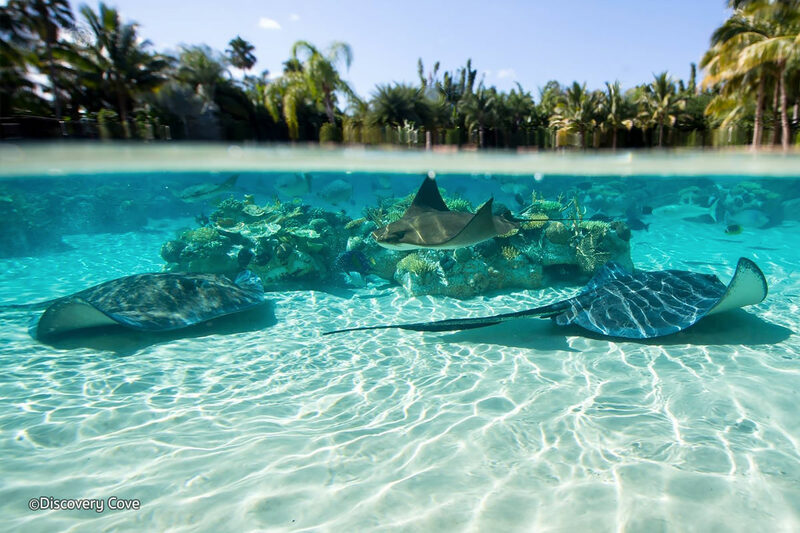 Discovery Cove offers various packages; from non-swim experiences through to the Ultimate Package which also gives you 14 days consecutive passes for Busch Gardens, SeaWorld and Aquatica (details of which can be found here,) plus free parking at each of these attractions! You can also be a Trainer for a day or perhaps enjoy Seaventure! Packages vary in price depending on the season so I won't include the prices here but you can find out more information on this link. Complimentary breakfast and lunch, plus unlimited snacks and beverages throughout the day. Unlimited admission to SeaWorld® and Aquatica, SeaWorld's Waterpark™ in Orlando for 14 consecutive days around the date of your reservation. 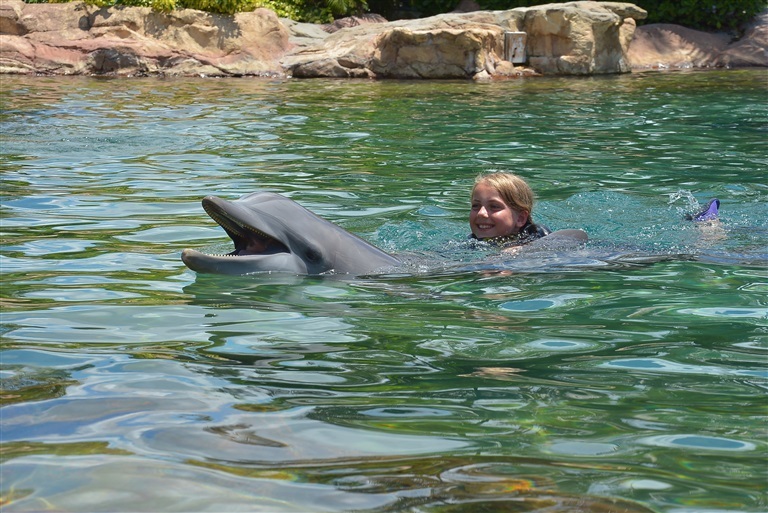 Children must be at least 6 years old to swim with dolphins. 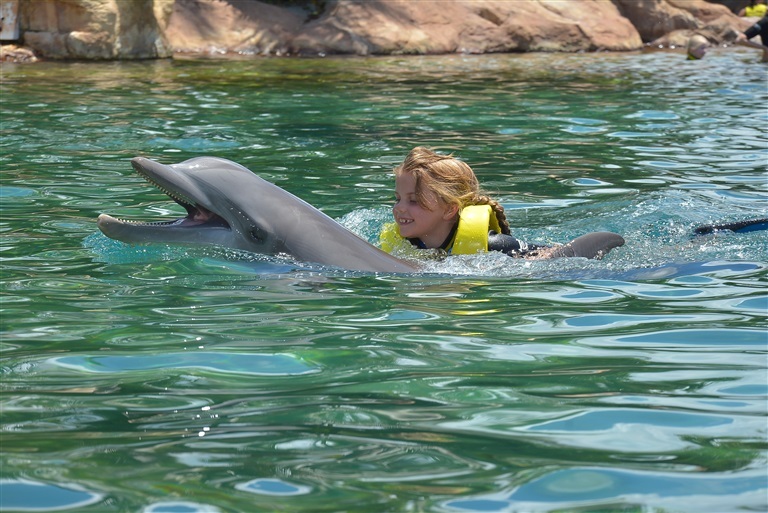 Children ages 6-12 must be accompanied by a paying adult who also is participating in the dolphin swim experience. 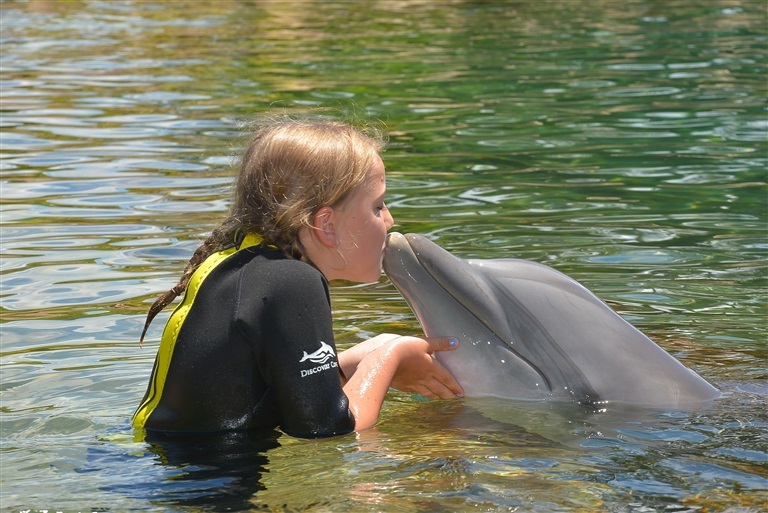 All minors under 18 must have signed waiver by parent or natural guardian to participate in Dolphin or SeaVenture programs. 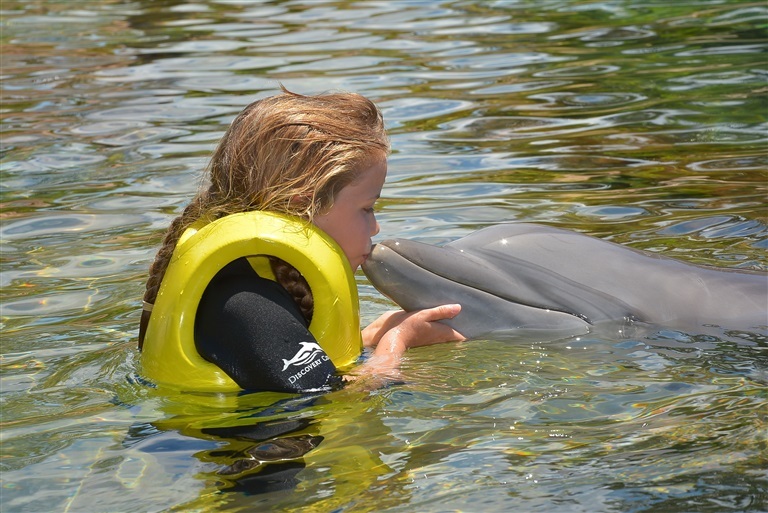 The Non-swim package is all the above without the 30-minute dolphin swim, some people think this a waste of time, but having done this ourselves in the past, I can honestly say it is a wonderfully peaceful and relaxing day and still very much a worthwhile experience. After reading through all the information we went for the Ultimate package and booked it for our Wedding Anniversary. Such a wonderful way to celebrate our 11 years of marriage and our two wonderful girls. We then made our way along the pathway which was fringed with lush plants and brightly coloured flowers, and joined the queue. As we reached the Check-in centre, we entered a large, well air conditioned room with beautiful decor. There were several check-in desks on either side of the room and the Greeters directed visitors smoothly and effectively to the next available assistant. At the desk, we were cheerfully greeted. We were asked whether we were celebrating anything special and our assistant congratulated us warmly on our anniversary (and Chris' birthday which was just a few days prior.) We were given our lanyards to wear for the day which acts as photo ID and has your allocated swim time printed on there. One of the guests in the booking also has a map attached to their lanyard. From here we were escorted through to the Guest Service area and our package was fully explained. 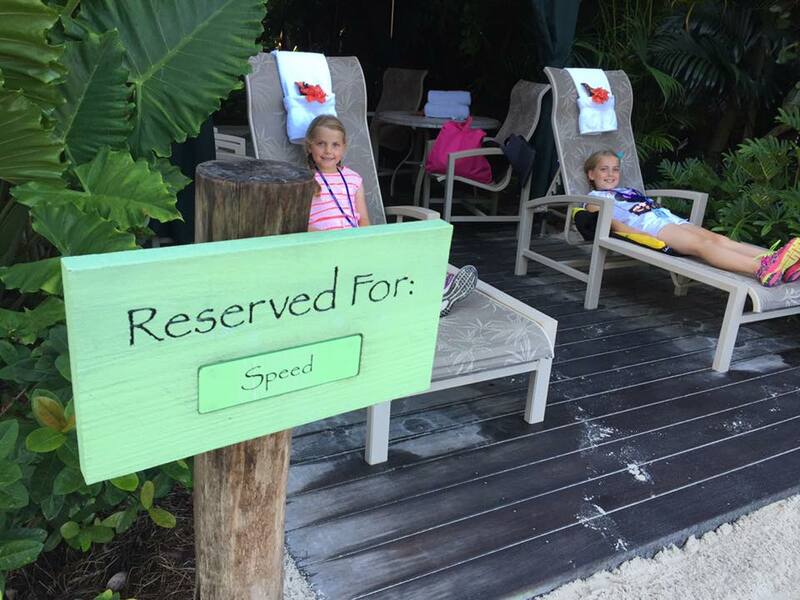 Please remember that the Special Occasion Packages are an additional charge, you must also purchase the Discovery Cove Package first. 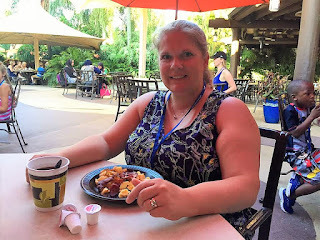 We were then shown over to the Laguna Grill to have breakfast. This was a Quick Service counter breakfast. A range of hot and cold foods; breakfast potatoes, sausage links, bacon, scrambled eggs, etc followed by fresh fruit, yoghurts, pastries and cereals. Outside there is plenty of seating and you help yourself to hot and cold drinks. Once we were finished here we were introduced to Kelly, who would be our Hostess for the day (Chris was hoping she would be our slave!) She would be popping to see us regularly in the Cabana, keeping our drinks and snacks topped up, fetching us clean towels, food/drinks/snacks from the service counters and keeping the Cabana clean for us. 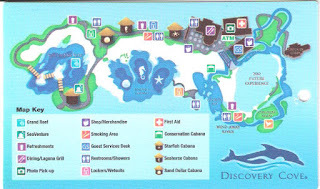 She would also ensure that our additional dolphin encounter runs smoothly and that our extra gifts and photos were delivered to our cabana before we leave. 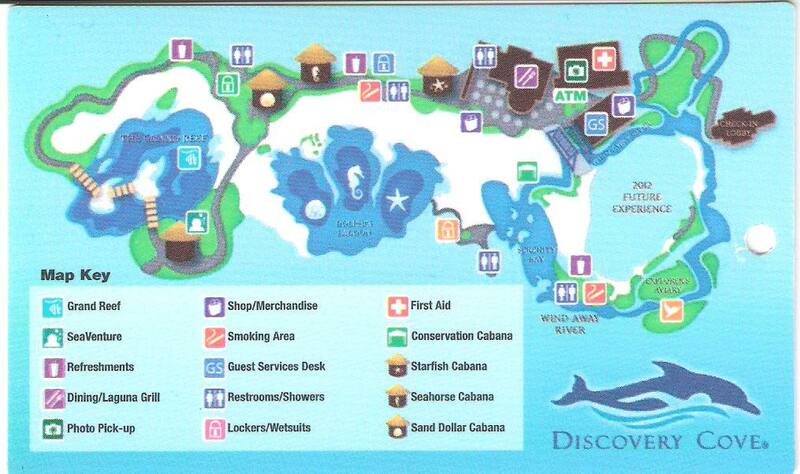 Kelly took us to our Cabana, showing us the different attractions and amenities en route. 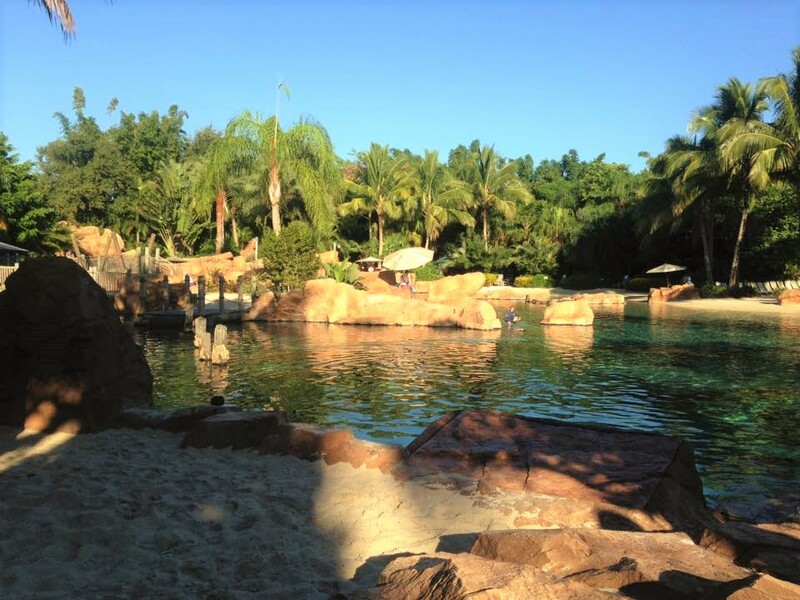 When we arrived we found our cabana overlooked the Grand Reef, offering a beautiful overview. After showing us our "home" for the rest of the day, Kelly left to let us settle in and explore. The cabana itself was a spacious area, with a fridge unit on one side, some comfortable chairs, table, towels and two sunloungers just outside, near to the water edge. 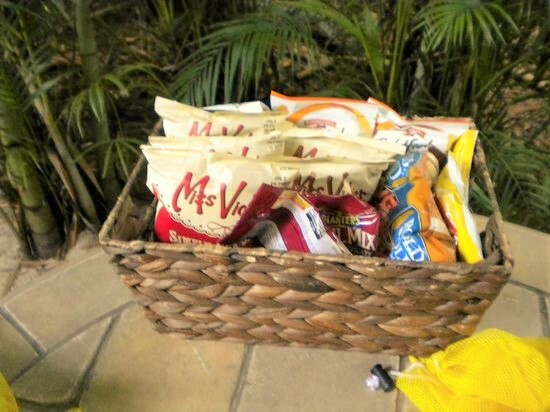 The girls quickly discovered the hamper of snacks. Emily spotted some sand toys and set herself up on the sand outside and Mollie checked out what drinks were on offer. Then it was time to head to the changing rooms to get ready. Discovery Cove provide wetsuits or wet vests, masks and snorkels. They also have ample supplies of sealife friendly suncream which you are recommended to apply regularly. Around each water area you can find float vests to fit everyone from the smallest to the largest of visitors. 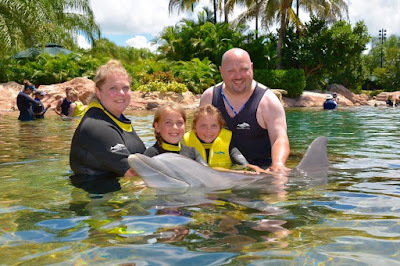 By now the girls were eager to get into the water, our dolphin encounter was booked for 1pm so we had a long leisurely morning and lunch stretching out ahead of us. 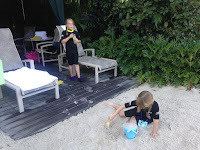 Back at the cabana we put our valuables in the safe provided and the girls started to explore the Grand Reef. The Grand Reef is a cold water lagoon which is thriving with many varieties of tropical fish and rays. These beautiful creatures glide gracefully around and are quite breathtaking. As soon as we entered the water a large Ray swam past Emily and as it did so it lifted one of its wings and brushed past Emily's hand. Quite coincidently but she insists that it was High 5-ing her! The girls took to snorkelling easily having tried it in the past and were quite happy floating around and seeing what they could spot. 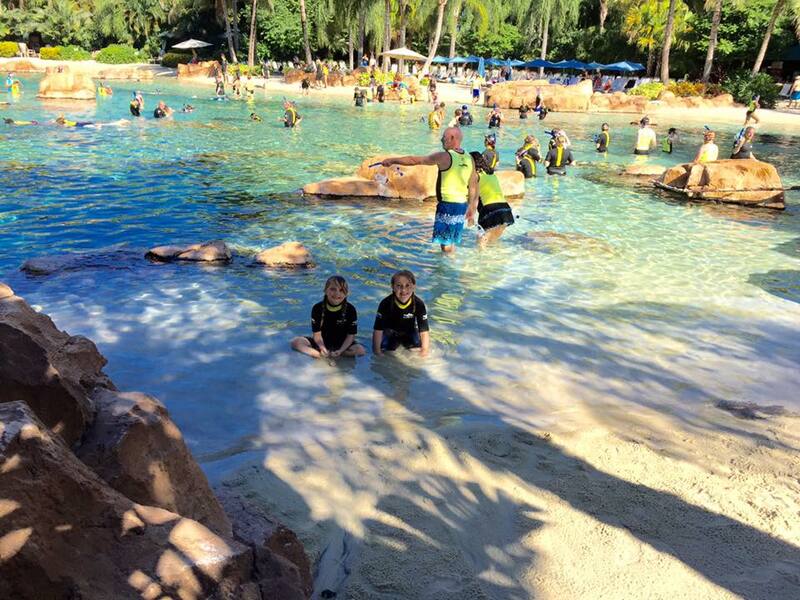 Although there were lots of families at the cove, everyone ensured that their children stayed calm and respectful to the sea life, this isn't a "fun" pool to splash around in and I was pleased to see families (including ours) using it as it should be. 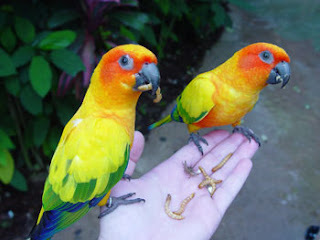 After a while we decided to take a walk and find the Explorers Aviary. We stopped at a refreshment stall to grab a snack, these serve hot and cold drinks (including alcoholic ones at some stalls) sweet/salted pretzels, warm cookies, fruit and crisps. 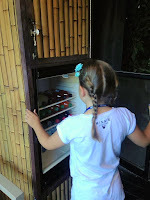 By the time we reached the Aviary we had finished the snacks and entered through the double door entrance. Inside there were some stunning birds and some rather "unique" looking ones too! We got the girls some food but the birds didn't seem too interested, there were quite a few people already in there so I guess they were already quite full! The Aviary can be accessed by foot or via the Wind-Away River. After leaving the Aviary we headed round to the quiet beach area and then into the Wind-Away River, grabbing some float noodles as we entered. This river is a gentle flowing current which carries you through rainforest trees, rocks, past otters and waterfalls. A fantastic way to unwind and allow yourself to drift along. 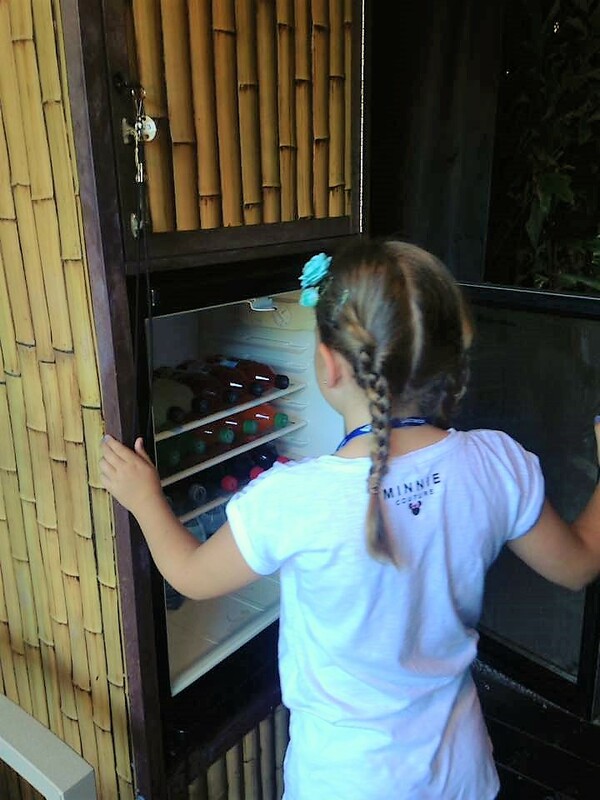 After here we headed back to our Cabana, Kelly had been in to sweep round and replenish the snacks and drinks. 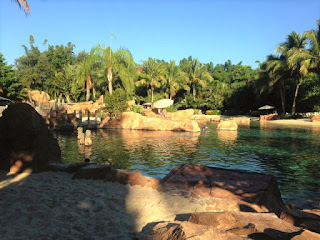 We had a little sit-down whilst the girls went off to the Grand Reef and pretty soon it was time for lunch. This was back at the Laguna Grill, there was quite a queue but it moved quickly. There were six main options of main course; chicken, cobb salad, fish, pulled pork. club sandwich plus accompaniments. The children had a selection of three main dishes, the usual chicken tenders, hotdog and pasta. Presently it was time to head to our dolphin encounter. 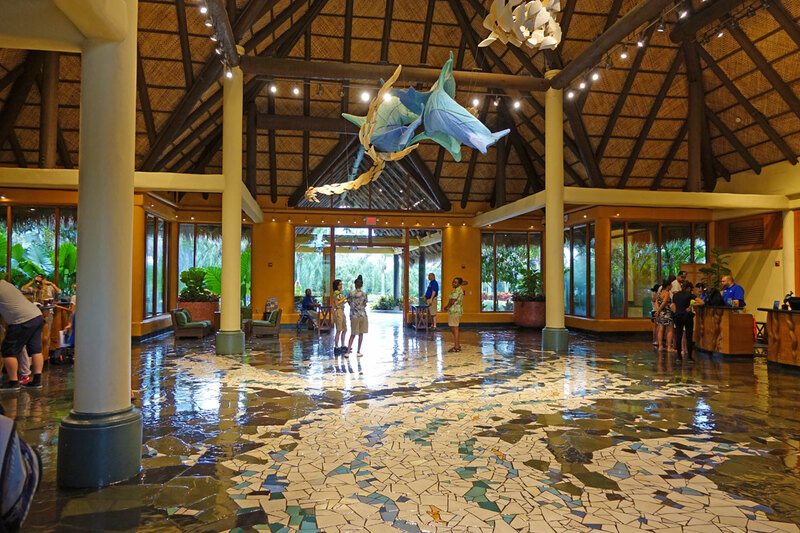 With much excitement we headed to the meeting area, these are called Sand Dollar, Starfish or Seahorse Cabana and each guest attending a dolphin swim is assigned one when they check in. Here we needed to fill out waiver forms and were then asked to take a seat. There were approximately 30 people in the Cabana and the greeting talk lasted for roughly 20 minutes. 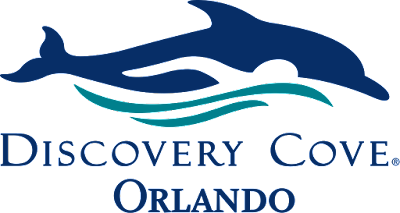 During this time we were shown a short introductory video clip about Discovery Cove and it's partners, lots of information on their conservation efforts. 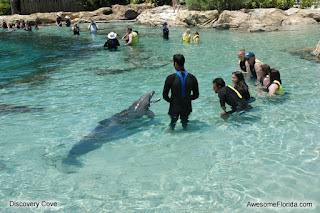 Then a briefing about the dolphin experience itself. We were then taken in groups to the Dolphin Lagoon, each group had no more than 8 people and was accompanied by a trainer, a photographer and a videographer. We also noted our Hostess on the waters edge. Making up our group of eight, we had two couples; a young couple on holiday and an older couple celebrating a birthday. 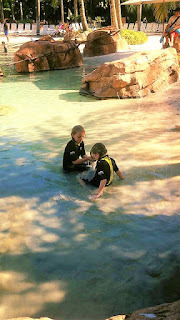 We entered the water and stood on the rocky ledge, the water came up to the girls mid torso. The trainer introduced herself and then came the moment we had been waiting for with excited anticipation. Our dolphin, Maria, came gliding effortlessly through the water. She stopped at the trainer and took her fishy reward. The dolphins appear to enjoy their interaction with the trainers, they have built up quite a relationship with them and our trainer talked passionately about the dolphins at the Cove with such emotion in her voice. She told us that if a dolphin decided not to join in for the session then they simply swim away and to be fair, the strength and speed of the mammals, I very much doubt you could stop them! Maria, performed beautifully throughout our experience. 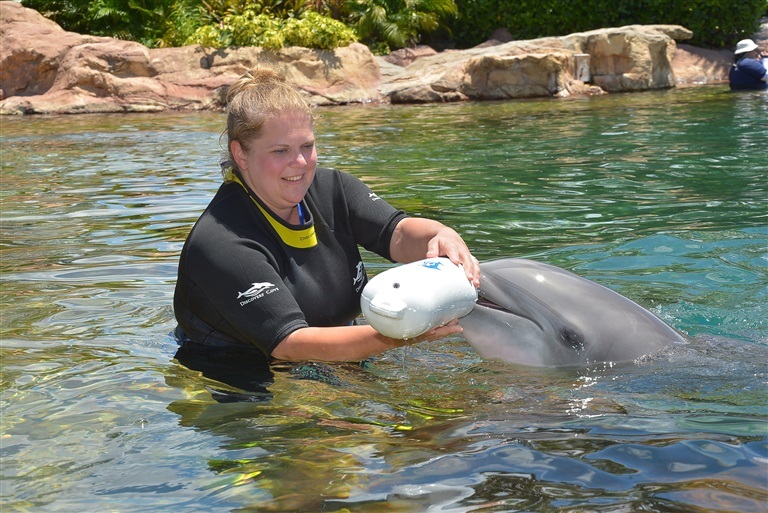 Each guest had the chance to stroke her several times, to make her "talk", give her a kiss and feed her. The girls smiles looked like they might burst from their faces at any moment, and they squealed in delight when Maria swam past and splashed us all with her mighty tail. During the interaction, the trainer gave everybody the opportunity to ask questions and answered them in depth. Soon it was time to have our actual swim with Maria, we were taken out 2 at a time, approximately 30feet away from the rocky ledge. 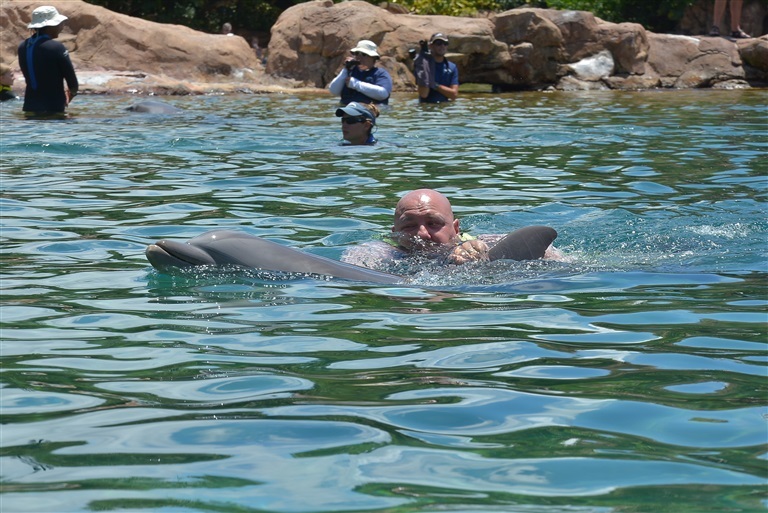 Prior to heading out to the deeper water, our trainer had explained clearer how to hold on to the dolphin, not only is this the safest way for yourself and the dolphin but is also the trigger command to the dolphin to swim. Such an amazing feeling, the strength and power of the dolphin is overwhelming, Mollie glided along with Maria as if she was a mermaid! Emily came off so elated that she was practically bouncing! I managed to pose a smile at the cameraman as I passed by, by smile I clearly mean grin like a loon! Chris managed to travel facedown in the water haha! But he daren't move in case he hurt the dolphin. 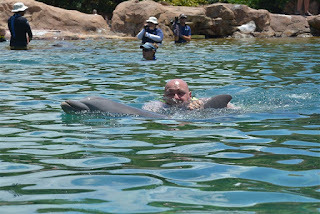 Just as our encounter was drawing to a close our trainer told us how dolphins like to play with toys, I noted that our Hostess had entered the water and stood with the trainer, talking discretely. This was it, this was our personal encounter. The trainer sent Maria off and we watched as she flew through the water and disappeared around the corner, I was asked to step forward to the edge of the ledge and told that Maria would bring back a toy. Maria returned quickly, carrying a buoy in her mouth. This was part of our Elite package and was personalised with our family name (you can choose your own greeting to go on the buoy) and the Discovery Cove logo. This was ours to keep. I took the buoy from Maria (after a struggle, she really liked that toy!) and posed for photos. 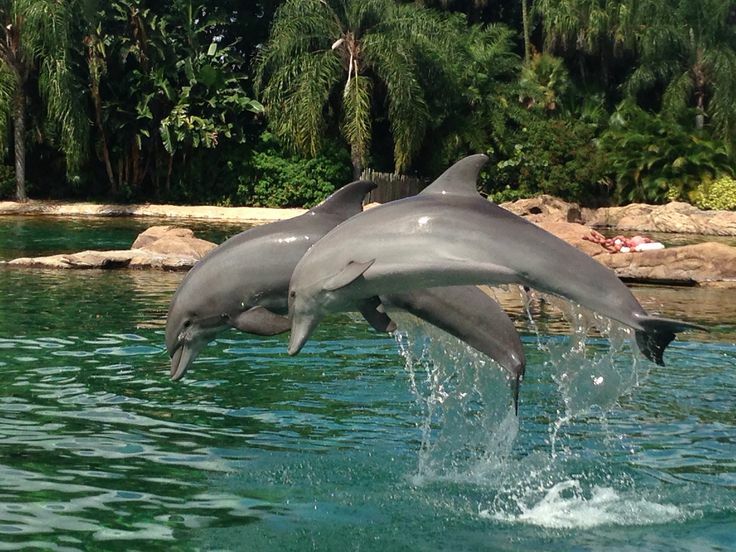 To end the session the trainers had all the dolphins in our part of the lagoon porpoise in unison, what a sight! We thanked the trainer and our Hostess Kelly took us back to the Cabana, she had brought with her the rest of the gifts included in our package, the soft toy, photo frame and tote bag. Kelly chatted to us and asked the girls all about the dolphin encounter, they talked animatedly with her all the way back. Kelly then told us what we needed to do with our photo packaged, again included in our Elite package with a value of $229 if you were to book this separately. As well as the complimentary photo all guests receive, we could choose 8 photos, 1 large poster print and a photo frame and leather embossed album. We would also receive a CD of all our photos and DVD of our encounter, plus a photo keycard which would give us access to our photos online. Once these were selected and ready she would bring them to the cabana for us to save us queuing in the end of the day rush! We sat and had a drink and snacks whilst we talked about the encounter, had a quick phone call back home to the Grandparents who were thrilled to hear from the girls about the experiences and then headed over to sort our photos. Being part of the elite package deal, we were shown to a server without queuing and had plenty of time to view and select our photos. Once this was done we headed back to the Grand Reef, where we spent the rest of the afternoon. By 5pm we were ready to start heading home, we had plans to go to Texas de Brazil for our evening meal, a favourite of ours and the perfect way to end a perfect day and to celebrate our anniversary. I took the girls off to shower and change and then as we headed back to the cabana it started to rain. We met Chris back there and found that Kelly had already dropped off our photo package. Then we headed out, taking in the last of the breathtaking views, pausing by the Dolphin Lagoon to see they gently swimming about. Then leaving the lush vegetation that encompassed Discovery Cove. 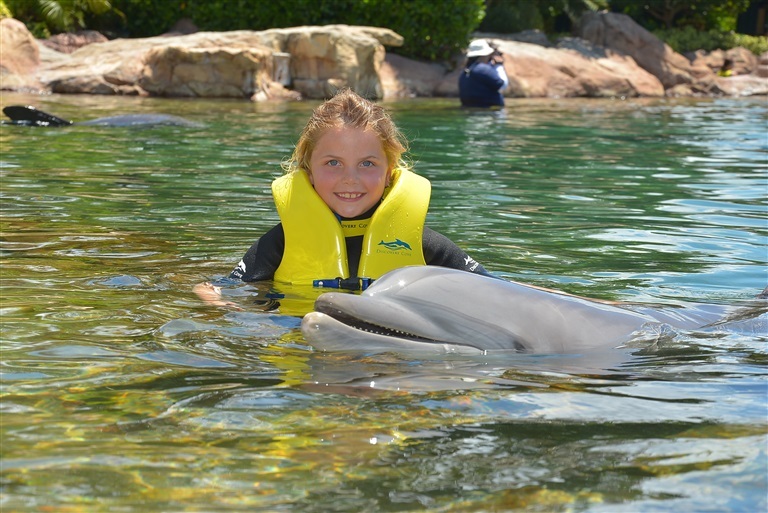 We are so pleased to share this wonderful experience with you, Discovery Cove is a beautiful attraction, guests are looked after impeccably. You don't go without anything throughout the day and as Discovery Cove only has a relatively small number of guests permitted daily, it is quiet and spacious. The animals are well looked after and their welfare comes paramount. We hope that you choose to book and see this for yourself. Disclaimer: not all photos are bloggers own, credited where appropriate. Monthly subscription treat boxes are growing in popularity and why should our pampered pets miss out? Elsa was the lucky recipient of a treatbox from Pawsomebox. Pawsomebox offers a monthly variety of treats, hygiene products and toys to the value of £40 for less than £20 per month. Subscription is simple, just complete your pooches profile on their webpage and you're set! Boxes are tailored to suit your dogs needs, whether they be long or short haired, have dietary requirements, pup or fully grown dog. Pawsomebox looks carefully at your pets profile and selects the best products for them. Elsa's treatbox arrived within a week of ordering and came in a simple box, with Pawsomebox logo on the side. Elsa was keen to help unpack her box! She obviously caught the smell of the goodies inside! Inside the box the contents were carefully packed with a layer of paw print tissue paper covering them. Elsa's box contained a water bowl upon which you attach a bottle and it dispenses the water gradually, a purple spiky ball, a cuddly horse with sound effect. A pack of 3 Rosewood Grillhouse Savoury Chicken Legs, a pack of Rosewood Leaps and Bounds Training Treats and a pack of 2 Rosewood Dr Dental Superfruits Chew bars. As you can see the Dr Dental chew went down very well indeed! Elsa didn't take long to adopt the cuddly toy as her "puppy", carrying it around and cradling it tenderly, she really does love a soft toy! A fantastic filled treatbox, perfect for spoiling your dog. Pawsomebox also offer the Purrfectbox for cats. For more information then visit their webpage or find them on Facebook. Pawsomebox also donate to charity, every 2 boxes delivered sees £1 going to their charitable cause, a local animal organisation or association. If you want to try out a Pawsomebox for your pampered pooch then use this Promo code for £5 OFF!!!! We surprised the girls with a Japanese Treat Box! We ordered it from Amazon and the delivery (from outside of the UK stated that it would take up to 6 weeks to arrive, however we were very pleasantly surprised when it arrived in less than 2 weeks. The inconspicuous cardboard box gave the girls little indication about what was enclosed, until Mollie spotted a customs label written in Japanese and she was on to it! They have been watching treat box vlogs lately so they had an idea of Japanese ones. Once they had opened the box they were amazed at the amount of snacks and candy enclosed and quickly started riffling through the contents. On top of the goodies was a leaflet giving details about the company The Japanese Freedom Market, based in Ibaraki, Japan. We had actually purchased the Fukubukoro Snack Box which as described as a limited edition box, upon reading the information it is a tradition with Japanese merchants to make up mystery grab bags/boxes and to sell them hugely discounted. Fukubukuro means "Lucky Bag" or "Mystery Bag". The company also offer monthly subscriptions starting from $12.99 per month and they ship worldwide. The box weighed over 1lb and was jam packed. Lots of the treats are corn based and there were some familiar names (there were a couple of mini Kitkats) however, these are quite different to what we are used to! They girls enjoyed sampling quite a few of these and have also shared some out with their friends. They have had fun trying to guess what flavours their snack was going to be. Some of the packaging designs gave them a clue but some were quite deceptive! Hidden in the box the girls were excited to find a cute origami bird and have since been trying to make their own. Such a cute little touch. Definitely worth the £25.99 in my opinion, not what I would usually pay out for snacks but these are so quirky and fun. I'm not sure I would subscribe unless I was guaranteed a wide variety each month.